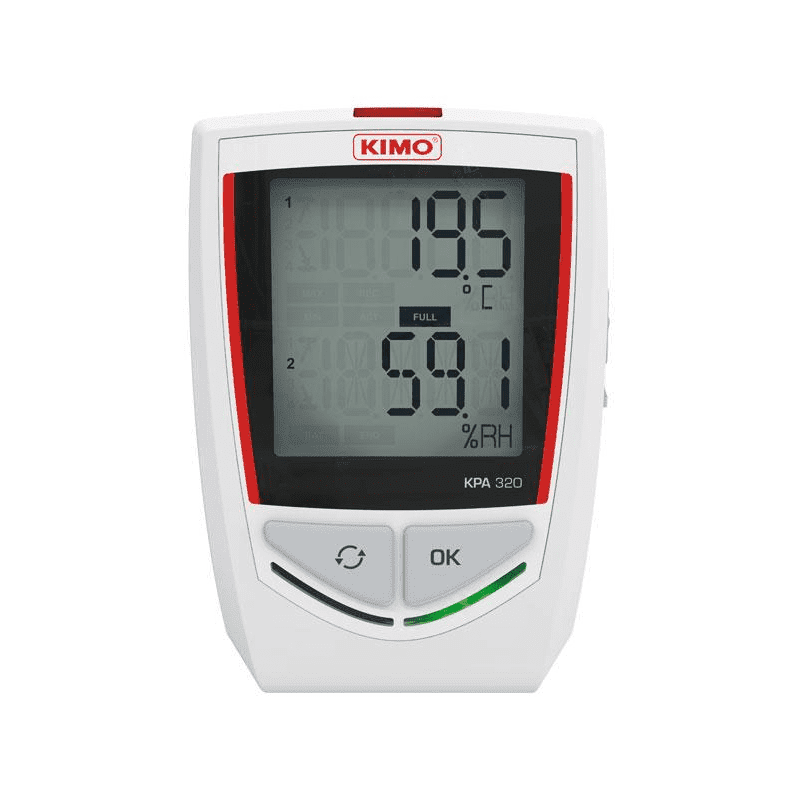 The Kimo KPA320 is a data logger for measuring temperature, air humidity and barometric pressure for indoor air quality. The air quality data logger can register 4 parameters simultaneously and has a memory of 2 million measuring points. 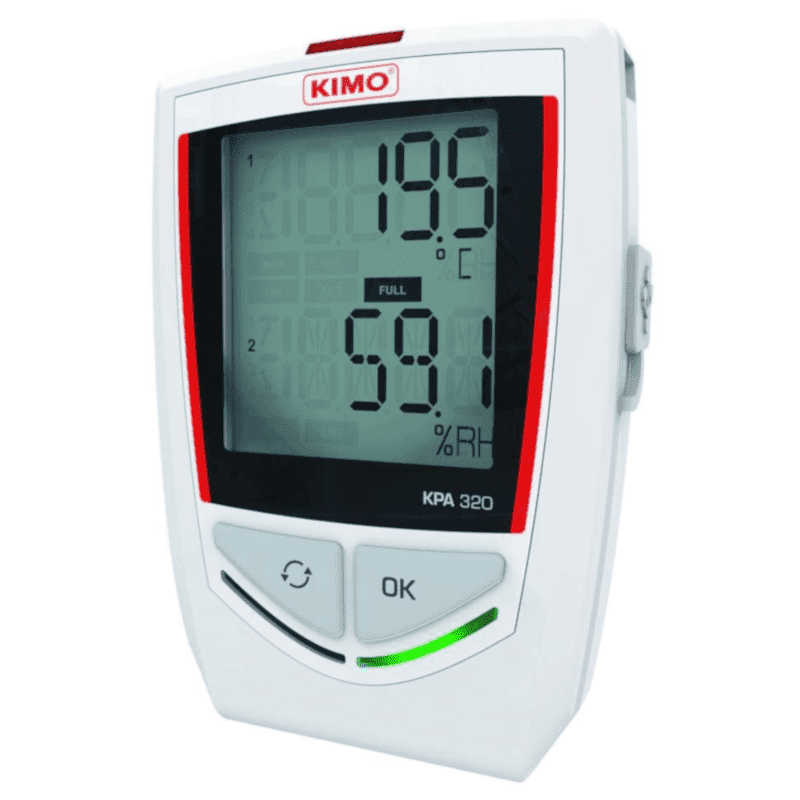 The KPA320 can be read out with the free Kilog Lite PC software, but also communicates via Bluetooth with an Android, or Apple IOS device. For advanced reports, there is the full version of the Kilog PC software. The housing has a built-in magnet, with which the logger can easily be attached to a metal surface.